Real estate law and real estate transactions are governed by a wide body of federal statutes and state statutory and common law. The requirements established by state law often differ significantly from one state to the next. Whether you have a commercial or residential transaction, lease agreement, foreclosure, lien, easement issue, or reverse mortgage question, or you are developing a new subdivision or have questions on homeowner’s association law, consulting with an experienced real estate attorney can help protect your rights. Real estate transactions normally fall into one of two primary categories: residential transactions and commercial transactions. Each has its own set of issues that buyers and sellers must navigate before a purchase or sale can be completed (or “closed”). Commercial transactions normally involve businesses seeking to purchase or lease commercial property. Complex issues can arise in a commercial sale, such as environmental and EPA challenges, debt covenants and conditions of default. It is often helpful to have a real estate attorney provide solid guidance and insight throughout the process so no steps are overlooked. For many people–whether a business owner, a college graduate with that first paycheck, or a retiree finally enjoying lifelong dreams–buying a home is the largest investment they will ever make. North Carolina law leans heavily in favor of the buyer, outlining steps to be followed, from the initial offer to a due diligence period to a title search and final closing on the property. Whether you are buying or selling a home, you may wish to involve experienced legal counsel at the beginning of the process so you are assured of having your rights protected in this most important investment. Learn more about buying your first home in this article by attorney E. Drew Nelson. Almost all real estate transactions involve a loan of some type. 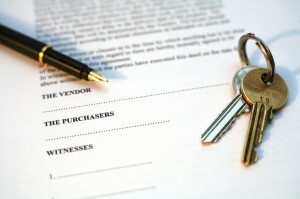 When the real estate transaction “closes,” the process may include payoff of the seller’s loan, the financing paperwork for the buyer’s loan, verification of a clear title (free of unsatisfied liens or judgments), transfer of the deed(s) with the Clerk of Court, and other legal details involved in the transaction. Loan closings in North Carolina require more paperwork than in many other states. With so many parties involved in closing the property transaction, you want someone to make sure everyone is on the same page and all the paperwork is correctly completed and filed. Whether your loan closing is for commercial or residential property, it is imperative you have an experienced real estate attorney working with you to make the transaction successful. Brinkley Walser Stoner attorney Ryan McNeill has written this article explaining the Real Estate Closing Process in North Carolina. This article outlines the process, from the Offer to Purchase and Contract, to home inspections to closing the deal. In another article, you can learn What a Closing Attorney Does. In many cases, our firm works on a flat fee basis so you will know the costs of our services up front. Loan closings require real estate attorneys who understand real estate law and all the paperwork, rules and regulations, and the need for accuracy. While we discussed purchasing real property above, in many cases individuals may choose to rent (or lease) property, or may purchase investment property with the intent of leasing it to others. In either situation a lease agreement is the tool used to formalize the terms and conditions of the rental. Owners of property are generally at liberty to do what they want with their property, including leasing the property to another individual for a specific period of time. Leases are contracts that confer a right on one person to possess property belonging to another. This is usually seen in a tenant and landlord lease agreement or a commercial lease agreement. Leases will be for a fixed period of time. There is also a consideration or exchange of monies for this right. Whether you are the owner and leasing the property or the party receiving the property through the lease agreement it is crucial that you fully and completely understand the terms of the contract, especially with regard to payment terms, required notice to terminate the lease agreement, and the property owner’s rights regarding eviction. You should seek legal advice to ensure that the conditions and terms within the lease are in your favor. To transfer an interest in real property, the parties need to retain an attorney to prepare the appropriate documents, typically a ‘Deed’. There are several types of deeds. For example, a warranty deed imposes upon the seller certain conditions warranted for the property. A quit-claim deed just transfers interest in the property but does not contain any warranties. It is important that you have someone who knows which deed is appropriate for you. A promissory note is a promise to pay a certain sum of money in a specific manner in a defined period of time. The note can stand on its own but is more often than not secured by a mortgage against real property called a deed of trust. It is crucial that the note be specific in the amount of the debt, interest rate, and terms of repayment. The note will be evidence in any foreclosure proceedings should the borrower default. Whether you are the party seeking to secure monies loaned or you are the party receiving the funds, you need good advice and representation to make sure that all terms of the contract are legally defined and enforceable. An easement is granted by a property owner to another party to grant non-ownership rights in the real estate for a specific period of time. The easements or right of way confers upon someone the right to enter on and over specified land but does not confer ownership. Because easements and rights of way have long term ramifications it is crucial that these documents are correctly drafted for the benefit of all parties. Easements may cause delays in real estate transactions if they are not clearly defined and properly filed with the Courts. If you have provided work or materials to repair or improve a property and the person who arranged for your services fails to pay you, then you may have the right to assert a property lien. Generally speaking this is called a mechanic’s, material, or laborer’s lien. This type of lien protects the contractor, but results in a lien against the property that must be resolved prior to the sale of the property. Contact us today if you need help or advice with a loan closing, lease, foreclosure, or other real estate law issue.